Landslides can occur in different environments and can interact with water basins of different characteristics. The transition from subaerial to subaqueous conditions can strongly control the landslide evolution and the generation of impulse waves, and therefore the final hazard zonation. Modelling the landslide spreading, the impact with the water surface and the generation of the impulse wave is a challenging work. We verify the capabilities of a fully 2D FEM approach to perform such a modelling and to analyse near-field evolution. 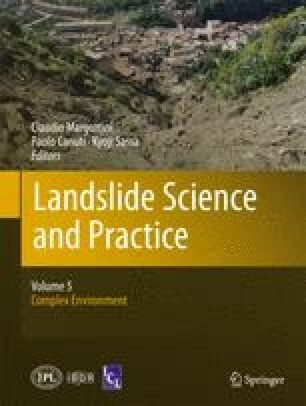 To this aim we simulate the Vajont rockslide and the consequent impulse wave, and some laboratory tests available in the literature.